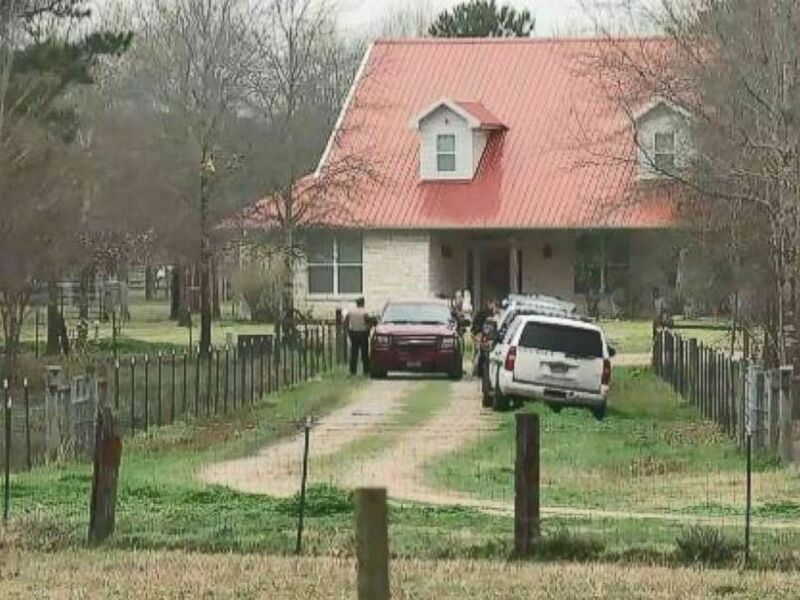 Five family members, including a 15-month-old baby, were found dead at a home in east Texas on Monday morning, authorities said. The Polk County Sheriff's Office received a call just after 10:30 a.m. local time about a woman who said she'd locked herself inside a bedroom after awaking earlier that morning to a "commotion" and popping noises at a residence in Blanchard, an unincorporated community about 80 miles northeast of Houston, according to Chief Deputy Bryan Lyons. Authorities arrived on scene to find five people apparently shot to death. Five people, including a 15-month-old, were found apparently shot to death at a home in Texas. Lyons identified the victims as 27-year-old Ashley Delaney, her 54-year-old husband Randy Horn, their 15-month-old child and Delaney's in-laws, 74-year-old Carlos Delaney and 72-year-old Linda Delaney. The baby's name was not immediately released. Lyons described the crime scene as "horrific." ABC News' Leah LaRosa contributed to this report.